Use reusable cloth bags for your groceries. Say no to plastic bags, as they pollute our neighborhoods and waterways, are eaten by wildlife and accumulate in the oceans making up part of the plastic garbage patches that float in the Atlantic and Pacific Oceans. Use biodegradable trash bags and doggie-doodoo bags. Do not buy bottled water. Most bottled water is just filtered tap water (read the labels carefully). Plastic bottles need energy to be produced. They do not biodegrade and contribute to the plastic pollution that plagues our oceans and the wildlife in them. Drink tap water and invest in reusable water bottles for the family when you are on the go. Decrease water usage at home by turning the water off while brushing your teeth (saving up to 5 gallons per day, if you brush the recommended 2 minutes), timing your showers, showering rather than taking a bath. Plant native plants in your garden, as they thrive in the natural conditions of Virginia and will require less watering. For advanced water conservation, consider getting a rain barrel, and installing a device to help you use your bath water to flush the toilet. Combine errands: every gallon of gasoline you burn produces 19 pounds of carbon dioxide. Walk or bike when you can. Your pocket book and waistline will both notice. Consider public transportation where available and carpooling. Adjust your thermostat by 2 degrees: Turn it down in the winter and up in the summer. You will save money and decrease your carbon footprint by 2000 pounds or more annually. Consider opening the windows in spring and fall instead of turning on the AC. Shop at our local farmer’s market (Five Points Community Market) or join a local CSA (Community Supported Agriculture delivery), thereby eating well and seasonably, cutting out long transport times and energy expenditures and the need to preserve the produce with artificial means. Give meatless Mondays a try, as the livestock industry contributes to greenhouse gas emissions and uses considerable water resources. You may also reap some health benefits from decreasing your intake of animal products. 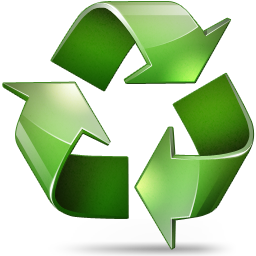 Recycle and appropriately dispose of toxic waste like batteries and medications with the help of your local recycling facility. Donate items you are not using thereby decluttering your life, helping others and saving the energy it would take to produce a new item. Use real dishes instead of paper. If you have to use disposable dishes opt for biodegradable options. When shopping look for quality rather than quantity. The “best deal” is likely not the best deal for our planet. When looking to replace appliances research energy efficient options (look for the energy star label). Invest in things that will last.